The Santiago del Teide branch of Asociación San Francisco de los Animales would like to thank Allison Barry for organising her second Sponsored Walk for the benefit of stray and abandoned animals within the municipality Santiago del Teide. Twenty three walkers and six dogs participated in the walk which took place on Sunday, 15 March from Alcalá to Pilgrim’s Bar in Playa de la Arena. Stewart, the owner of Prilgrim’s kindly sponsored a buffet for the walkers. This was much appreciated by all. The branch would like to thank all the people who participated in the walk and lastly but by no means least the sponsors. The event raised 1,110 euros. All monies will be used for the benefit of stray and abandoned animals within the Municipality of Santiago del Teide. The latest rumor around town is that both Barceló Santiago Hotel (right) and Barceló Varadero (below) are up for sale. According to the Spanish press, several of Spain’s major hotel chains are preparing to announce that up up to seven hotels could be up for sale throughout the Islands. 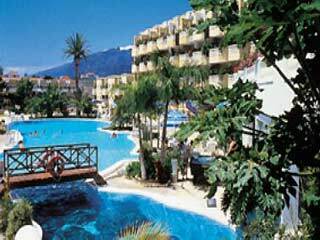 Sol Meliá in Puerto de la Cruz, have had the Parque San Antonio and the Tamarindo, up for sale for several months now. 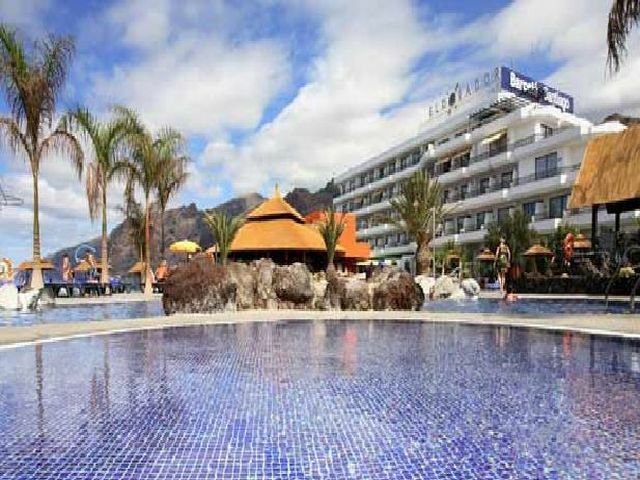 Barceló is pulling out of Lanzarote completely, their two hotels, the Hotel La Galea and the Barceló Lanzarote are also for sale. The sale of the Barceló Santiago and the Barceló Varadero, will leave the company with hotels only in Gran Canaria and Fuerteventura. The recent down turn in tourism has meant that these major companies are looking into destination which could be more profitable to them such as Dominican Republic, Eastern Europe and the Caribbean. We can only hope that these hotels are sold to a company which does not offer fully inclusive holidays! but that’s probably too much to wish for. 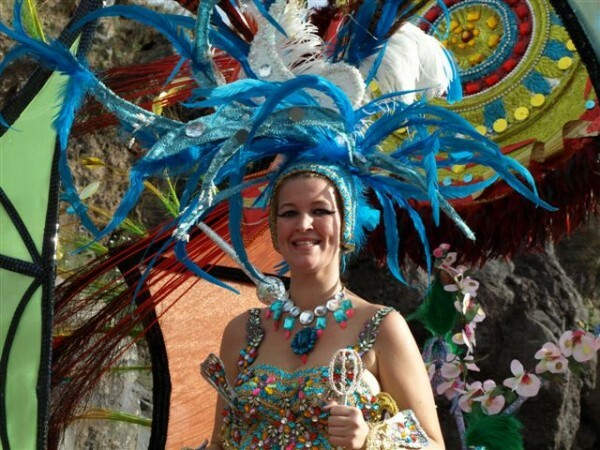 Los Gigantes carnival 2009 was celebrated from 5th – 9th March. 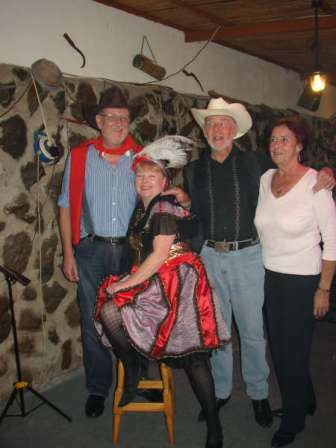 The event was 5 evenings of fun and laughter for the many hundreds of residents and visitors of the area. Simple Simons & Ocean Drive in Los Gigantes and the Custom Built Computers/losgigantes.com office in El Varadero. On Monday 23rd February 2009 Country Dave Scofield reached his 70th birthday. On the day before, he turned up at Restaurante Tajinaste ready to sing and entertain the customers, unaware that many of his friends had conspired to throw party for him. Everyone had brought food and what a superb spread it was. Walking in from the bright sunlight, it took Dave a couple of seconds for the penny to drop. His surprise and delight was matched only by the evening of fun we all enjoyed. Several other local singers joined in the festivities to give us a real mix of music. It was, for most people, an evening to remember (and for one or two an evening to TRY to remember). Thanks to Fred and Glynis at Tajinaste for organising the event. Cheers Dave. Enjoy being in your 8th decade, and keep on singing. Dave sends his thanks to all who celebrated with him; for all the cards and presents but especially thanks for the friendship. The gala for the election of the queen will take place this Thursday, March 5, from 21:30 pm in Plaza, Los Gigantes. The above 3 young ladies all hope to become queen of the Los Gigantes carnival, the candidates are: María Mari Mederos, Bonita Marie-Mitchell and Yanira Mendoza Rivero. There will be a spectacular show of dancers, singers and entertainers, presented by Tina Leon, and Stephen McKenna will be translating into English.